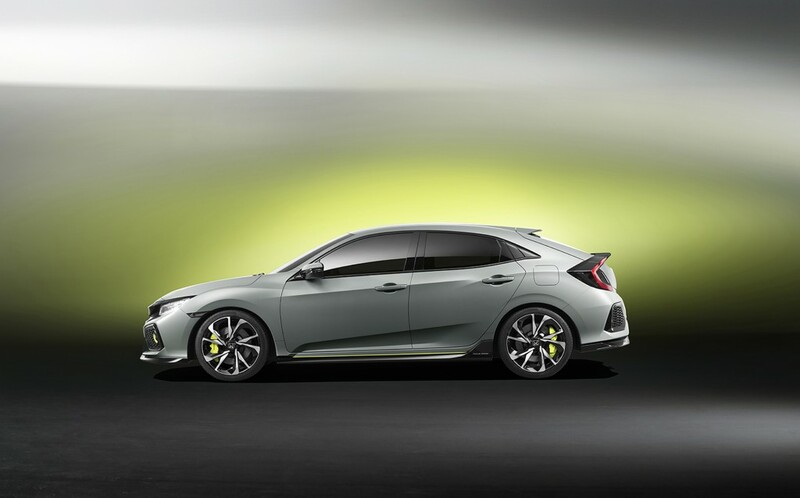 When Honda presented the drawings of the 10th Civic generation, I was pleasantly surprised by its lines. Now, looking at the first official pictures, I must admit that it also looks very dynamic from all the angles. The design has a lot of personality and sportiness. It’s sharp enough to exhale aggressiveness, but rounded enough to be nice to look at. The roof describes a near-perfect arch which helps the drag coefficient stay low. I particularly like the side body panels, with their rounded lines which emphasis the car dynamics. Anyway, let’s not forget that that’s a prototype, so the production model will look slightly different. Not too much, because Honda is known to keep the final version pretty close to the prototype’s looks. Still, these pictures show a very sporty Civic, probably a Type R, so the base trims won’t be as spectacular as the one here. The exterior dimensions of the new generation say much about its character: it’s 30mm wider, 20mm lower and 130mm longer than the current generation. So it will probably be a roomier, yet more dynamic car and the same time more comfortable, thanks to its long wheelbase. In front, there are daytime running lights, LED headlights and an impressively sculpted hood. They maintain the typical Honda fascia, and still add personality to it. Is interesting that the Japanese gave up to the hidden rear door handles, preferring to incorporate them into the upper swage line. 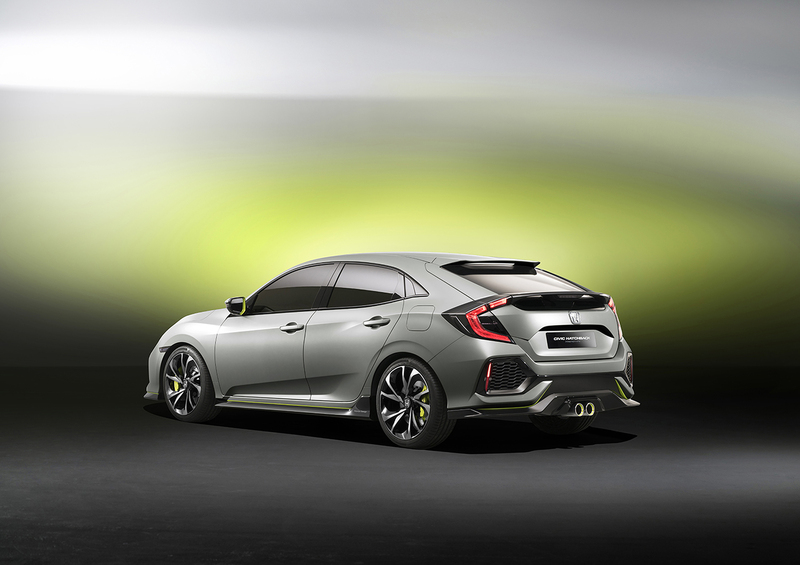 The 2017 Civic will be ready to launch at the beginning of 2017 and will be produced in UK Honda factory.